I'm a sucker for sprawling, epic rock music. Mogwai, Isis, M83, etcÃ¢â‚¬Â¦ You name it, I'm in. There's just something about music that slowly draws you in and hypnotizes you that really fuels my engine. About six months ago, my band was scheduled to play a show at this awful venue that pretty much everyone avoids. Of course, we ended up playing to only a handful of people. After our set, as we all began downing as many drinks as humanly possible, the headlining band took the stage. The house lights went down and a few floodlights illuminated the mysterious figures on stage as they slowly crept into their first song. 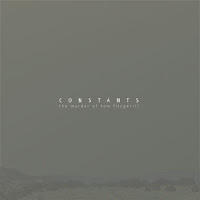 The band was Constants. They played sprawling, epic rock music. I was quite pleased. Hey I'd like to congratulate you for such a terrific made forum!